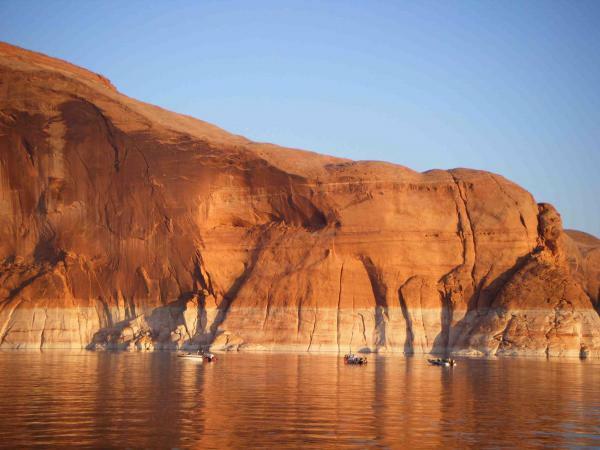 As a person who cares deeply about the preservation of natural spaces and ecosystems, I have mixed feelings about the very existence of Lake Powell, America’s second-largest man-made lake. One general rule about dams is that they present an ecological nightmare for most living things downstream – unless those living things require electricity for powering flat screen TVs and massive air conditioning units. Electricity is after all the the main purpose of creating dams and the huge lakes behind them.